In Woody Allen's films, the city is almost always as important an hero as the rest of the characters. We remembered the main directions for traveling from famous films of the director. The wheel of the wonders in honor of which the film is named is a Wonder Wheel in Deno's Park at Coney Island, a peninsula in Brooklyn, in the most famous amusement park of the city . There live and work all the main characters: Caroline (Juno Temple) escaped from her husband, her father Humpty (Jim Belushi), his wife Ginny (Kate Winslet) and the rescuer Mickey (Justin Timberlake), which drove a wedge between the two main characters. Although the film's action takes place in the middle of the last century, this amusement park still exists and gives Coney Island some charm. 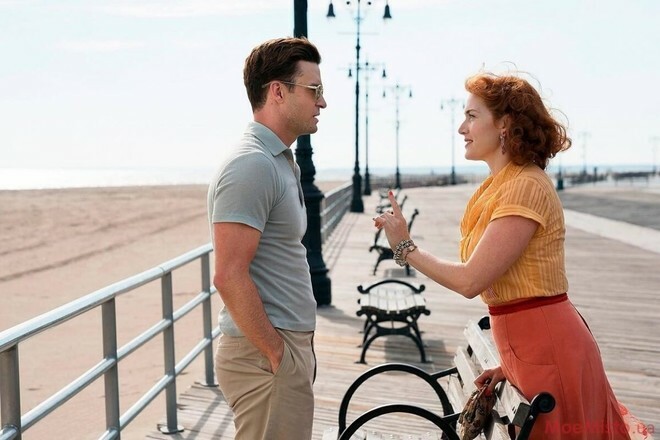 To be imbued with the film's atmosphere, take a stroll along the Rigelman Promenade and the famous Surf Avenue. And of course, look at Brooklyn from a height, riding on the Ferris wheel. "Café Society" is the idea of ​​confronting New York with its intellectual bohemia and the Hollywood chic of Los Angeles. The main character unfolding in the 30's history - the young man Bobby whose role is played by Jesse Eisenberg dreams to find work in the film industryю As the plot develops, he falls in love with his uncle's secretary, Vonnie (Kristen Stewart), but eventually marries Veronica (Blake Lively), whom he met at a nightclub. The centerpiece of the love polygon is Central Park in New York, where Jesse decaled his love for Vonnie. It is interesting that the movie Café Society is called in honor of the once famous New York club, which was opened by musician Barney Josephson in 1938. Having made the movie about the English illusionist Stanley Crawford (Colin Firth), who is trying to expose the young girl Sophie (Emma Stone), posing as a psychic, Woody Allen made the French Riviera popular with tourists. The movie was shot in the most beautiful places of the Côte d'Azur: in the Château du Rouët vineyards, near Le Mui, Villa Eilen Roc in Antibes and in Hôtel Belles Rives in Juan Les Pins, where Fitzgerald wrote his novel "A Tender Night". But the favorite places to cast the film were the Observatory of Nice and the rocky beaches of Massif de l'Esterel. The plot of the movie "Roman Adventures" consists of four novels that unite the Eternal City and the most famous points on its map. In the first story American Hayley falls in love with the Italian lawyer Michelangelo. Their first meeting takes place on Venice Square, and at the Trevi Fountain they realize that they are created for each other. In the second part, a married couple from the province Antonio and Millie begins adventures with Piazza del Popolo. The third novel is devoted to a simple bank employee Leopoldo, who becomes a real star. Not far from Via Veneto, he takes one of the most important decisions in his life. And in the Villa Borghese park, Jack, the protagonist of the last storyline, looks at Monica in a new way. 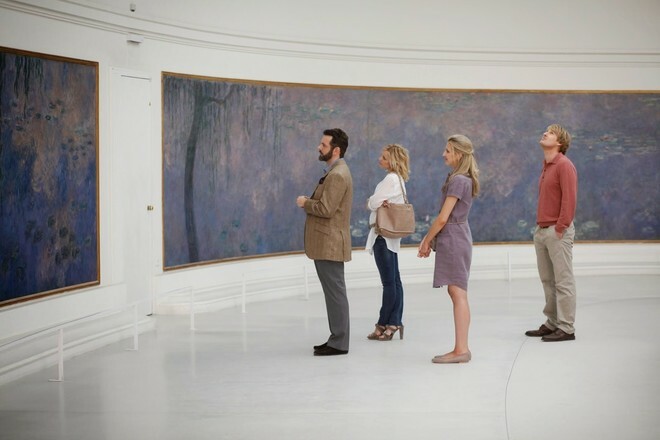 Sagrada Familia, Casa Mila, Parc Güell, the National Museum of Catalonia and Ramblas - in "Vicky Cristina Barcelona" Allen shows all the main attractions of the Catalan capital. However, despite the fact that Barcelona is included in the title of the picture, this is not the only place in Spain, which travels two American students Vicky and Christina. Together with the Spanish artist Juan Antonio Gonzalo, they also visited Oviedo, a city that turned the life of Vicky and is known for its Gothic cathedral of San Salvador. In the center of the story of "Match Point" is a tennis instructor Chris Wilton, who first falls in love with her student's sister Chloe, and then in his girlfriend, actress Nola Rice. Among the places were the Saatchi Gallery, Tate Modern, 30 St Mary Axe and the Thames Embankment.